voiding the limited warranty. If you need service, please contact us. 16/24-port Gigabit Easy Smart Switch. Please read this guide carefully before operation. 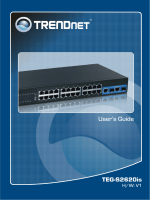 This Guide is intended for network managers familiar with IT concepts and network terminologies. we will take the operation on TL-SG1016DE for example throughout the configuration chapters. 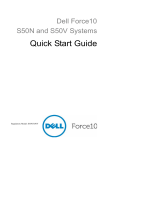 figures in this guide are of TL-SG1016DE. option that is located under the System menu. Bold font indicates a button, a toolbar icon, menu or menu item. Ignoring this type of note might result in a malfunction or damage to the device. Introduces the guide structure and conventions. Introduces how to log on to the Web management page. This module is used to configure system properties of the switch. z IP Setting: Get and modify the network parameters of the switch. log on to the Web management page. z Switching: Configure the basic functions of the switch. z System Tools: Manage the configuration file of the switch. z MUT VLAN: Set the MTU VLAN mode. z 802.1Q VLAN: Set the 802.1Q Tag VLAN mode. z 802.1Q PVID Setting: Configure 802.1Q PVID value. z QoS Basic: Configure and view the basic parameters of QoS. Lists the hardware specifications of the switch. Introduces how to configure the PCs. Thanks for choosing the TL-SG1016DE/TL-SG1024DE 16/24-port Gigabit Easy Smart Switch! both port and tag based QoS to keep latency-sensitive traffic moving smoothly and jitter-free. eco-friendly solution for your business network. + Multicast snooping automatically prevents flooding of IP multicast traffic. + Supports up to 32 VLANs simultaneously (out of 4K VLAN IDs). + Supports L2/L3 granular CoS with 4 priority queues per port. + Rate limiting confines the traffic flow accurately according to the preset value. + Port Mirroring enables monitoring selected ingress/egress traffic. The front panel of TL-SG1016DE is shown as Figure 2-1. The front panel of TL-SG1024DE is shown as Figure 2-2.
software setting back to factory default setting. 1000Mbps. Each has a corresponding 1000Mbps LED and link/Act LED. Power is off or power supply is abnormal. A 1000Mbps device is connected to the corresponding port. A device is connected to the corresponding port but no activity. No device is connected to the corresponding port. requirement of the input voltage (100-240V~ 50/60Hz 0.6A). http://192.168.0.1 in the address field of the browser, then press the Enter key. 255.255.255.0. For the detailed instructions as to how to do this, please refer to Appendix B.
function by clicking the setup menu on the left side of the screen. switch to avoid losing the new configurations. Info, IP Setting, User Account, Switching, Monitoring and System Tools. On this page you can view the system information and define the device description. Choose the menu System→System Info to load the following page. Displays the device model number. Displays the MAC address of the switch. IP is 192.168.0.1 and you can change it appropriate to your needs. Displays the subnet mask of the switch. 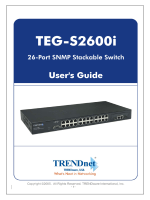 Displays the default gateway of the switch. Displays the installed software version number. Displays the installed device hardware version number. Give a description to the device for identification. management page to operate the switch using this IP Address. 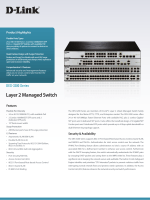 On this page you can get and modify the network parameters of the switch. Choose the menu System→IP Setting to load the following page. manually. By default, it is disabled. switch uses 255.255.255.0 as the subnet mask. destination IP address is not within the switch’s subnet. please keep the new IP address in the same IP segment with the local network. On this page you can modify the username and password in order to refuse illegal users. Choose the menu System→User Account to load the following page. copying in order to avoid mistakes. English letters and underlines only. 2. The default username/password is admin/admin. Port Setting, IGMP Snooping and Port Trunk. port, please set the parameters appropriate to your needs. Choose the menu System→Switching→Port Setting to load the following page. Select the desired port for configuration. It is multi-optional. be set to “Disable” to cut down the energy cost. avoid the packet loss caused by congestion. can be used on the switch for dynamic registration of the multicast group. Choose the menu System→Switching→IGMP Snooping to load the following page. Enable or disable IGMP snooping function globally on the switch. Displays the multicast IP address. VLAN, and have the same PVID. 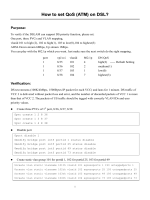 Displays the forwarding port list of the multicast group. Flow Control), QoS must be the same. member port in the trunk group. The trunk member ports cannot be set as mirroring port. configuring the other functions for the member ports. On this page, you can configure and view the information of the trunk group of the switch. Choose the menu System→Switching→Port Trunk to load the following page. Here you can configure and view the port parameters. Select the port as the trunk group member. It is multi-optional. Clearing all the ports of the trunk group will delete this trunk group. speed of 1000Mbps and the down-linked speed of 1000Mbps. Mirror, Cable Test and Loop Prevention. traffic and locate faults promptly. Choose the menu System→Monitoring→Port Statistics to load the following page. Displays the port number of the switch. Displays whether the port is enabled or disabled. Displays whether the port is link up or link down. error packets are not counted in. Displays the number of error packets transmitted on the port. Displays the number of error packets received on the port. packets for monitoring and troubleshooting the network. Choose the menu System→Monitoring→Port Mirror to load the following page. Select a port from the pull-down list as the mirroring port. copied to the mirroring port. The trunk member cannot be selected as the mirroring port. A port cannot be set as the mirrored port and the mirroring port simultaneously. The port mirror function can take effect span the multiple VLANs. trouble spot of the network. Choose the menu System→Monitoring→Cable Test to load the following page. Displays the connection status of the cable connected to the port. “Short”, ”Open Short”, “Normal”, “Cro Cable” and “others”. Displays the error length (in meters) of the cable. The test result is just for your reference. With loop prevention feature enabled, the switch can detect loops using loop detection packets. When a loop is detected, the switch will block the corresponding port automatically. Choose the menu System→Monitoring→Loop Prevention to load the following page. Allows you to enable or disable loop prevention function globally. Choose the menu System→System Tools→Backup and Restore to load the following page. 1. It will take a few minutes to backup the configuration. Please wait without any operation. 2. It will take a few minutes to restore the configuration. Please wait without any operation. 3. To avoid any damage, please don’t power down the switch while being restored. configuration file may cause the switch unmanaged. configuration before rebooting to avoid losing the configuration unsaved. Choose the menu System→System Tools→System Reboot to load the following page. To avoid damage, please don't turn off the device while rebooting. Choose the menu System→System Tools→System Reset to load the following page. After the system is reset, the switch will be reset to the default and all the settings will be cleared. Choose the menu System→System Tools→Firmware Upgrade to load the following page. You are suggested to backup the configuration before upgrading. Please select the proper software version matching with your hardware to upgrade. To avoid damage, please don't turn off the device while upgrading. After upgrading, the device will reboot automatically. occupy plenty of bandwidth resources, causing potential serious security problems. communicate with one another through the Internet devices such as router, the Lay3 switch, etc. The following figure illustrates a VLAN implementation. Compared with the traditional Ethernet, VLAN enjoys the following advantages. Layer 3 switches are used. you do not need to change its network configuration. VLANs are divided based on ports. By default, the Port Based VLAN is enabled. packet refers to the packet without VLAN tag. Based VLAN, 802.1Q VLAN and 802.1Q PVID Setting. On this page you can choose to enable MTU VLAN mode and configure VLANs. Choose the menu VLAN→MTU VLAN to load the following page. communicate with any other port but other ports cannot communicate with each other. On this page you can configure Port Based VLAN feature and view the related settings. Choose the menu VLAN→Port Based VLAN to load the following page. VLAN1. VLAN 1 cannot be deleted. Enable or disable Port Based VLAN mode. Enter the ID number of VLAN. It ranges from 2 to 32. A VLAN cannot be the subset or superset of the other VLANs. On this page you can configure 802.1Q VLAN feature and view the related settings. Choose the menu VLAN→802.1Q VLAN to load the following page. VLAN1. VLAN 1 cannot be modified or deleted. Enable or disable 802.1Q VLAN mode. Enter the ID number of VLAN. It ranges from 2 to 4094. Give a name to the VLAN for identification. Click the check box to exclude the port from the current VLAN. packets or broadcast packets, the port will broadcast the packets in its default VLAN. On this page you can configure PVID of the specified port. By default, the PVID of all ports is 1. Choose the menu VLAN→802.1Q VLAN Port Setting to load the following page. this PVID value as the VLAN ID of the added tag. 802.1Q VLAN should be enabled before setting PVID. network service experience of a better quality. modes. This switch implements two QoS modes based on port and on 802.1P. based on port is enabled and the other one is optional. with lower priority are sent. z Priority 1 and 2 are assigned to the 1 (Lowest) priority queue. z Priority 0 and 3 are assigned to the 2 (Normal) priority queue. z Priority 4 and 5 are assigned to the 3 (Medium) priority queue. z Priority 6 and 7 are assigned to the 4 (Highest) priority queue. packets, the switch will forward it according to the default port-based QoS mode. 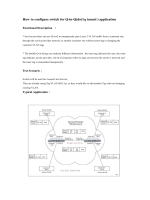 QoS Basic, Bandwidth Control and Storm Control. forwards the packets to implement QoS function. supports four priority queues. The port priority queues are labeled as 1, 2, 3, and 4. On this page you can configure and view QoS mode and the port-based priority setting. Choose the menu QoS→QoS Basic to load the following page. Select the desired QoS mode. port the packets come from. the 802.1p priority field in the 802.1Q tag. the value, the higher the priority. On this page you can configure and view the bandwidth control function information. Choose the menu QoS→Bandwidth Control to load the following page. Allows you to enable or disable the bandwidth control function..
0 to 100000, and must be integral multiple of 64.
the set rate, the packets will be discarded. control feature will be disabled for this port. to disable the flow control on each port to ensure the switch works normally. Storm control function allows the switch to filter broadcast, multicast and UL frame in the network. automatically discarded to avoid network broadcast storm. On this page you can configure and view the storm control function information. Choose the menu QoS→Storm Control to load the following page. Allows you to enable or disable the storm control function. 100000, and must be integral multiple of 64.
broadcast storm. It is multi-optional. the port, they will be discarded. port, they will be discarded. In this section, we’ll introduce how to install and configure the TCP/IP correctly in Windows 2000. First make sure your Ethernet Adapter is working, refer to the adapter’s manual if necessary. On the Windows taskbar, click the Start button, and then click Control Panel. Connections tab in the appearing window. Right click the icon that showed below, select Properties on the prompt page. In the prompt page that showed below, double click on the Internet Protocol (TCP/IP).